Tyler Lockett's 51-yard touchdown should have won the game for the Seahawks, Pete Carroll says. 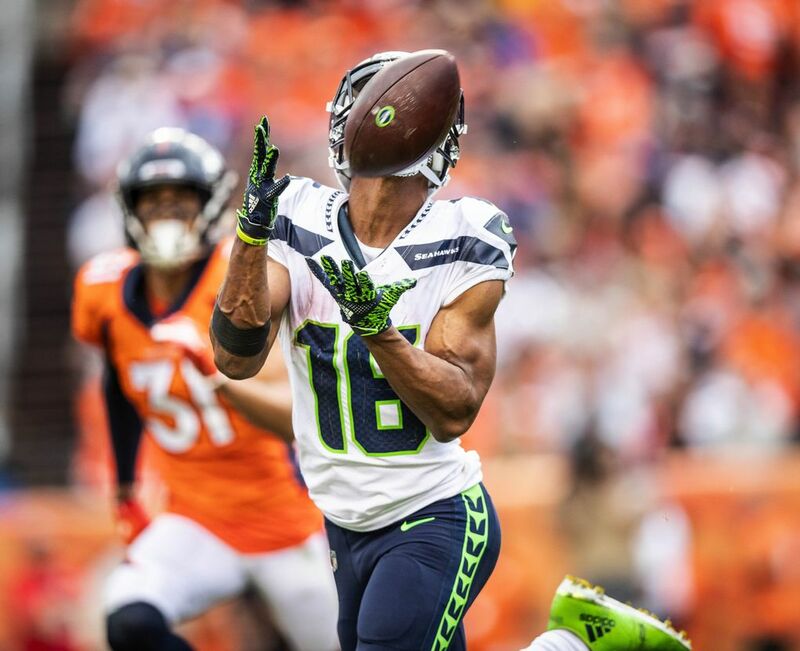 It was one of the best offensive plays of the Seahawks' defeat to Denver. Here's how it unfolded. 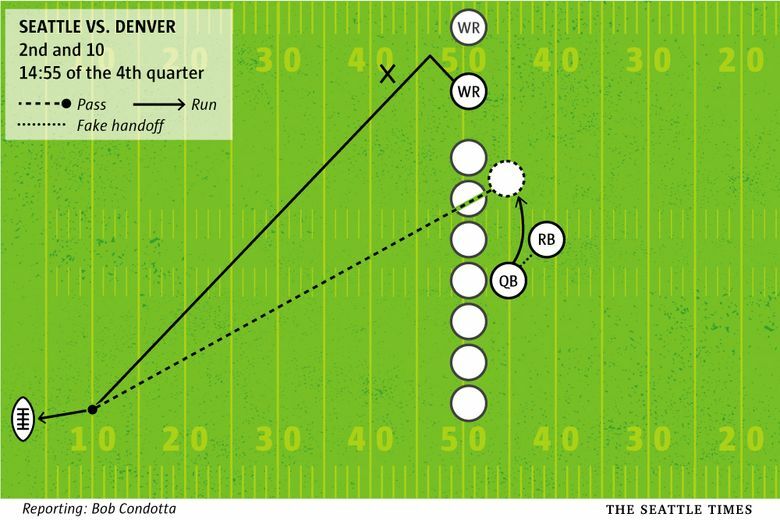 If much of the Seahawks’ 27-24 loss at Denver on Sunday was sloppy, the play that resulted in their final touchdown — a 51-yard pass from Russell Wilson to Tyler Lockett — was pretty as could be. 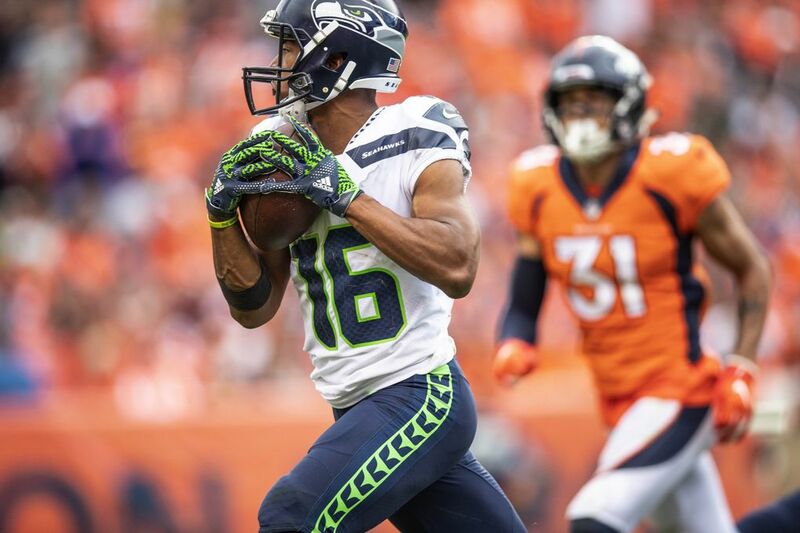 On the play, which came on second-and-10 at the 49 on the second play of the fourth quarter, Lockett lined up as a slot receiver, inside of Brandon Marshall. He then used something of a double move, to break open, first running about 10 yards downfield, feinting as if he was cutting right and then breaking left to get past Denver cornerback Chris Harris. Wilson, meanwhile, faked a handoff to Chris Carson and then rolled a few yards to his right to buy time. He threw from his own 43 to a wide open Lockett, who caught the ball at the 10 and strolled easily into the end zone to give Seattle a 24-20 lead.